I’m a liberal arts guy – not just in spirit but also education, having studied History at Vassar College. During those four years I was introduced to many new ideas, including one by classmate Lee Zalben: peanut butter can solve all problems. Lee put his hypothesis to test in 1998 via Peanut Butter & Co, a small retail shop which has turned into a multiplatform success. One which still goes best with a glass of milk. Here’s a short interview I did with Lee. 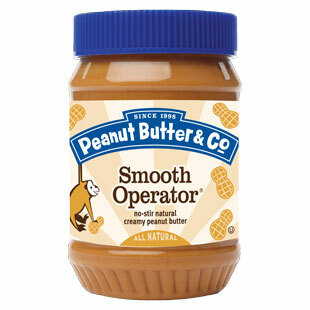 Q: So Peanut Butter & Co started first as a NYC retail shop right? Did you always plan to do ecommerce as well? Tell us a little about its growth. I opened the Peanut Butter & Co. sandwich shop in 1998, and the menu consisted entirely of peanut butter sandwiches, snacks, and desserts. Customers started coming in with Tupperware containers, asking to take home some of our peanut butter, so we started putting it in jars for them to take home. Tourists from out of town who had bought our peanut butter during their visit to NYC started calling us when their jars became empty, and we realized we needed to figure out a way to keep them supplied, so we added e-commerce to our website www.ilovepeanutbutter.com. That was in 1999 – we were in fact one of the first food companies to offer e-commerce to consumers. The sandwich shop and e-commerce are a very small part of our business now however – most of our sales come of grocery stores, supermarkets, and specialty and natural food stores. Q: You’ve really created a community of, well, peanut butter lovers. How have you used social media to unite, inspire and converse with your fans? While we’ve run ads on television and in magazines in the past, social media is our primary tool for communicating with our customers. We’ve invested a tremendous amount of resources in developing our social network through a wide variety of channels including Facebook, Twitter, Instagram, Pinterest, Tumblr, and most recently YouTube. Our focus online is to create engaging content that entertains, inspires, and educates our fans and followers. Q: Do your customers create content around their love of peanut butter or do you need to do all the content creation? We find that sharing great content creates even greater conversations, and every day we are amazed at the incredible array of recipes, videos, stories, and photos that our fans create on their own and share with us. Q: The business started in 1998. How has the technology you’ve used changed over the last 15 years? What have been some of the most important improvements? From a marketing perspective, the creation of social media has been the largest technological change, but the evolution of how people use social media is just as important as its emergence. From a productivity standpoint, smartphones and mobile email have allowed me to stay connected with my business no matter where I’m at, and Skype and other VOIP services allow me to be totally engaged in every part of the world. We’ve been experimenting with some cloud-based CRM, Project Management, and Intranet tools, but haven’t really found the right mix of features for us yet. It’s a fast-changing space and we’d love to find an all-in-one integrated solution. Everyone is talking about “big data” these days, and I’m excited about the new kinds of insights it can bring to our marketing efforts. That said, I’ve yet to see a platform that can deliver valuable, actionable insights at a cost that a small business can afford. Again, it’s a fast-changing space so I’m hopeful that some of the companies that are in limited free/beta mode will offer deeper insights at reasonable rates in the near future.